In my younger years, I was an avid reader. I was rarely found without a book in hand. Since having kids, however, I’ve found it easy to push that practice out of my life. I need to carve space in my life for books, though, because reading has been shown to make you a kinder person and to improve your mental health. Plus, it can be a frugal hobby. That’s why I’m recommitting myself to reading. Want to join me? 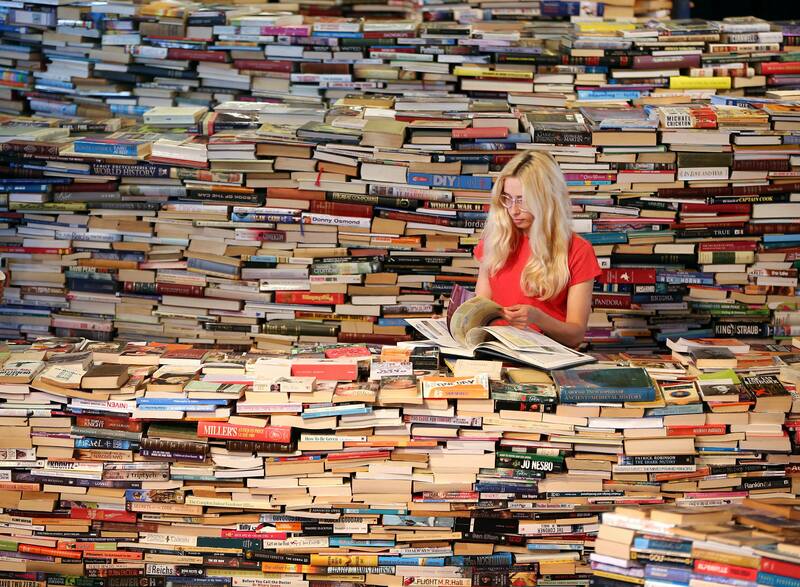 Here’s what I’ve learned about how to read more books. Here’s the thing about your local library: It’s full of books. I know, that’s quite obvious. But there’s something about being surrounded by books that’s rather compelling. It makes you want to read the books. So take the time to stop in at your local library. Check out the books that are featured on the endcaps. Ask the librarians for their recommendations. Just wander the aisles and see what catches your eye. Spending time among books may make you more eager to set aside time to read them. Be sure to write down the ones that appeal to you so you don’t forget their names. If you just file them away in your brain for later, you’ll likely forget their titles. Once you have picked out some books you want to read, set yourself a manageable reading goal that will help you work your way through their pages. Your goal should be specific, and it should stretch and challenge you a bit. Feel free to ask a friend to hold you accountable. Of course, how you structure the goal is up to you. It could be to read 10 books in a calendar year or to work your way through a book by reading 25 pages a day. Your goal could also be time-based, such as spending 20 minutes each morning with a book. A book club has two key benefits for your reading life. It supplies suggestions of books that you should read, and it offers a level of accountability to actually read those books. Plus, a book club is good for your social life. It helps you meet new people and connect with them on an intellectual or emotional level. And besides, there’s often food involved! Your local library or bookstore probably offer at least one book club. If you need help finding one, Reader’s Circle offers a lookup feature for clubs; input your zip code to find options in your area. You could also consider joining an online group. If you really want to make a commitment to reading more books, show it in your living space. Carve out a comfortable nook that’s dedicated to reading–be it in your bedroom, your living room or even a hallway. Of course, a cozy reading area needs an inviting chair, but it also needs great lighting. In fact, instead of relying on just one light source, go for two. For example, if there’s a window nearby, pair it with a desk lamp. Wherever you go, make sure there’s a book there too. Slip a book in your purse or briefcase. Keep a book in your car so you always have something to read while waiting to pick up your kids. You can even scatter books around your house. Keep one by the bed and another by the couch. Having books near at hand reduces the temptation to turn to other activities instead of reading. 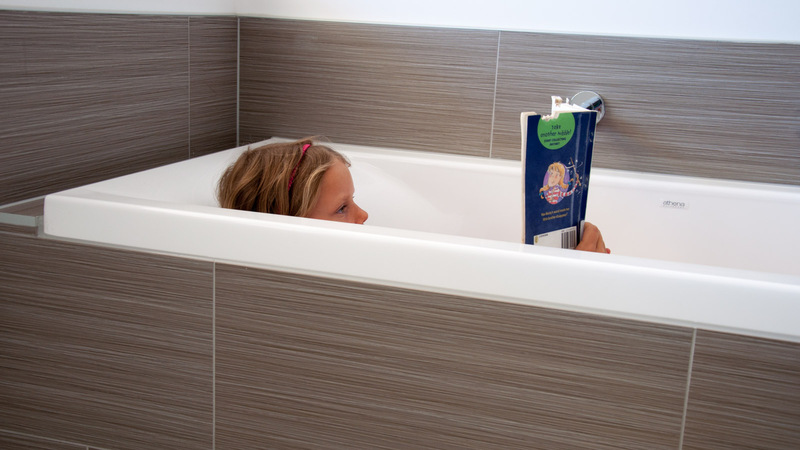 Don’t forget to leave a book in the bathroom! 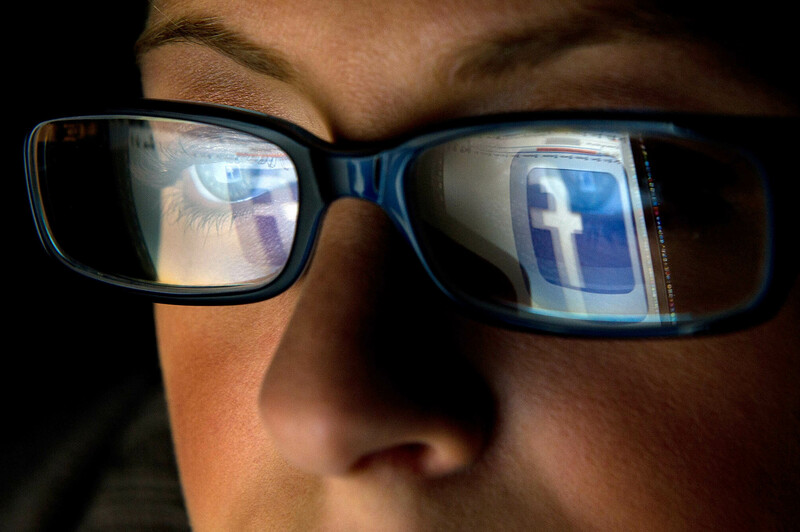 Facebook and other social media apps are useful, but they can also be a major time drain. If you find that whenever you have a free minute, you pull up Instagram or start scrolling through Twitter, consider taking those apps off of your mobile devices. Use the time you free up to read more books instead. If you take the above advice to start carrying a book along wherever you go, you won’t have to worry that without Facebook, you’ll have nothing to do while waiting for an appointment or riding the bus. Of course, if you like the feeling of a phone in your hands, you can always install an ebook reader app to replace your social media apps. My children participate in reading programs that require them to maintain lists of titles that they complete. Getting to write down the name of a finished book is sometimes all the motivation they need to keep reading just a few more chapters. No, you’re not a kid, but you may be similarly driven. Particularly if you’re the type of person who loves making notes, adding to a list of completed books can be quite satisfying. It shows a tangible record of the time and effort that you’ve invested in reading. Keep your list in a journal or online. Are you ready to dive into a good book? I think a visit to my public library is in order. Please comment with your tips for fitting more books into everyday life, and share this list with your friends so you can become avid book lovers together.